At Sterling Design & Construction we enjoy installing one of the most underappreciated aspects of a new home or remodel. Automated lighting. What is lighting automation? Lighting automation controls all off the lighting in and outside of your home with one central controller. You can preset your lighting to be dimmer or brighter for certain times of the day and activate it by one touch of the controller. Creating perfect lighting in your home can have a strong effect on the ambiance of any room. Whether it is your home office, kitchen, bedroom, or living room, the lighting can help inspire, relax, or excite! There are many benefits to lighting automation. Lighting automation can save energy, money, add security, and gives our clients the luxury of turning the lights on or off in multiple rooms at once to the exact dimness desired. We can add the convenience of lighting automation while building your dream home or install it in your existing home. We can design any lighting layouts indoors or outdoors or both. We only work with the best manufacturers and quality products in the lighting industry. Our licensed electricians and designers will work with you to completely customize the lighting in your home. We are happy to serve homes in Northern Virginia as well as Maryland, Washington DC, and many of the surrounding areas. For a complete list of cities and zip codes that we serve, scroll to the bottom of this page. 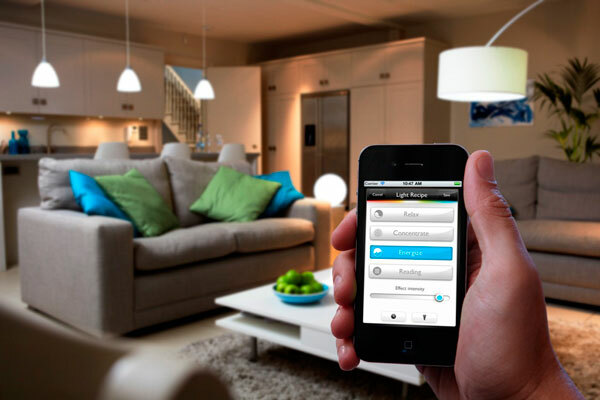 Your new lighting automation central controller can be installed in any room of the house. Most prefer that it be installed in the entry way of the home so that the house can be lit to your desired specifications with one touch of the tough pad on your way in or everything turned off on your way out of the house. For our clients who want even more convenience and more options, we can also install additional controllers in other areas of your home with additional features and functions. For example, you can set a controller in your home media room or home cinema or any main gathering area like a family room or den. Adding additional controllers can give you hundreds of lighting and scene options. Set timers for lights to be turned on or off at designated times. Lights can be programmed to turn on as you enter a room. Lights can be programmed to turn off as you leave a room. Lights can be set to turn on if your home alarm system is triggered. Lights can be set to turn on at dawn or off at dusk. Light can be dimmed or brightened by choosing the ‘evening’ option. You can program your lights to be on in certain rooms of the house while you are away. 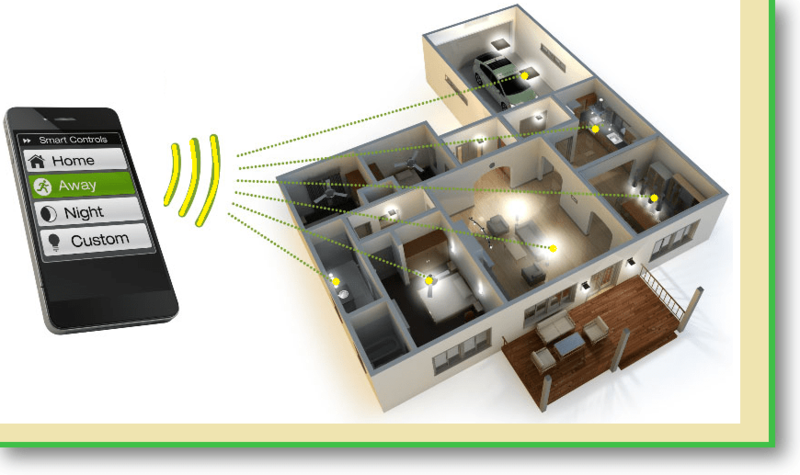 Lights will randomly turn off and on in different rooms to look as if someone is home for security reasons. rooms to look as if someone is home for security reasons. You can program your lights to flash or turn on if the phone or doorbell rings. When going on vacation you can set your lights to give the appearance that someone is home or you can assure that all lights are off. 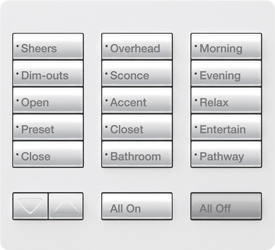 And there are so many more combinations and choices to really customize your living experience! And don’t worry, we assist you in setting up your lighting automation controller to best maximize your experience based off of your lifestyle. We help you set it up so that you can just enjoy it once we leave. We also make sure you can easily make changes on the controller as well. You will without a doubt feel the benefits of lighting automation when your bright lights are simultaneously dimmed at just the right time or your path through certain rooms of the house is already lit as you walk through the door. You will also feel a bit safer knowing that with just one push of a panic button, your outside lights will all turn on, your alarm will sound, and all of your lights inside will turn on. But perhaps the feature that you will notice the most is the reduction of your energy bill. As research and experience has shown us in the lighting industry, by dimming or turning off your lights every day for an extended period of time will decrease your bill by an average savings of 5-15%. Dimming your lights will also extend the life of your light bulbs by a significant amount. Schedule a complimentary consultation with Sterling Design & Construction today to see what the simple yet innovative technology of lighting automation can do for you.